Today we are featuring Andrew Smith from Board Game Quest. Andrew contributes written content spanning reviews to top 10 lists, and more. I had the pleasure of meeting Andrew at Origins this past summer. One of the highlights of that con was the 8 am Euros, a group of friends meeting up before the chaos of the con to sit down, relax and play some great Euro games. Andrew is flying in to join us at Granite Game Summit. This will be his first G2S event! He came into board gaming from playing Magic: The Gathering. He nearly qualified for a Pro Tour once before he had a son and couldn’t keep up with the crazy competitive scene. Despite working in an IT role for the last 10 years, Andrew has an economics degree and loves board games with markets and economic mechanisms. His favorite movies are 40s-50s film noir. Andrew wrote a nearly 50 page thesis in college based on the movie Double Indemnity alone. Questions by Kimberly Revia (KR), and answers by Andrew Smith (AS). KR: How did you initially become interested in becoming a content creator? AS: I’ve always loved to share my opinion about the hobbies I’m most interested in. I started writing video game reviews when I was 15 and just continued writing even as the type of gaming I’ve done has changed. KR: What do you enjoy most about writing? AS: It really helps me focus more on what it is I like about board gaming. It is pretty easy to sit down and play a game without putting much critical thinking into it. But I really love digging deeper and trying to establish what it is I like or dislike about various games and why. It's helped me become a more well rounded gamer. KR: How has the board gaming community changed since you first began writing? AS: There are certainly a lot more people creating content. I think it's great for the hobby and it's fun to interact with folks who produce all kinds of content at conventions and on social media. KR: What is your most played board game? AS: Excluding short party games—Pandemic Legacy: Season 2. It look us 20 plays to complete the campaign. I’ve suffered a bit of the “cult of the new mentality.” I’m just starting to really curate my collection down to the games I want to play dozens (or hundreds) of times. KR: Which games in your collection do you think will remain timeless to you? AS: I tend to prefer heavier Euro games. Kanban is one of my favorites that I continue to find new and interesting strategies to explore. Concordia also will likely be a favorite forever as it's fairly easy to teach but has quite a bit of depth and so many interesting maps to play. KR: What is your ideal game day? 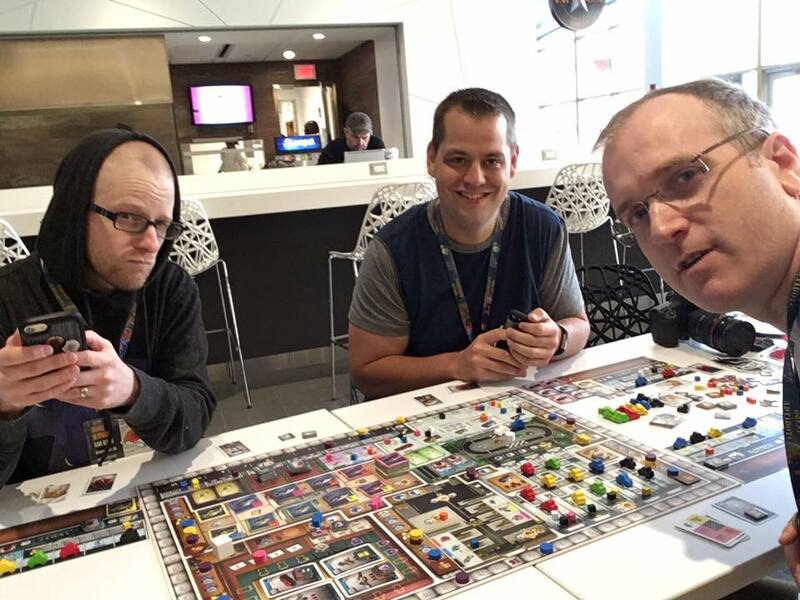 AS: I prefer to start game days with a “big” game—something like 1846, Kanban, Lisboa, etc. Maybe follow that up with a medium weight Euro or a few quick games. This approach often lets me set up the heavy game in advance of people showing up to game day which seems to work best for my group to be able to jump right in. You can find more about Andrew and Board Game Quest by following the links below!